December 29 is our school president’s birthday. 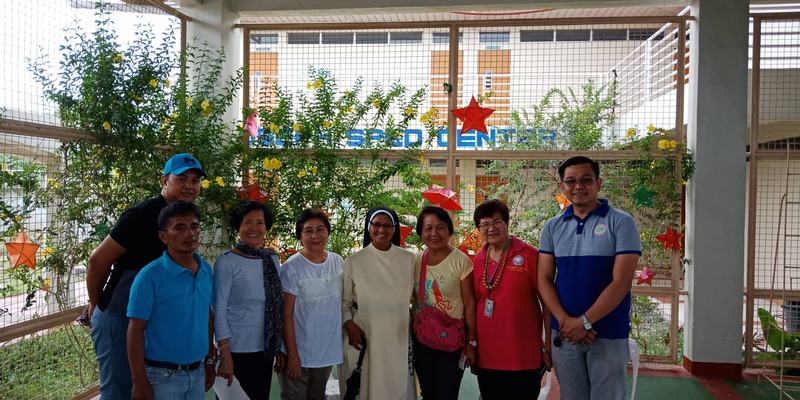 This year, instead of celebrating her birthday with the usual pompous birthday party rich with food and music, she decided to journey far beyond the ordinary eye’s travel pilgrimage to the far-flung St. Joseph Home for Special Children at Block No. 3, Barangay San Jose, Tarlac City on December 28, 2019 to help feed the thirty-two physically and mentally handicapped residents. The President’s team composed of the School Director Madame Ligaya B. Austria; The College Guidance Counselor Dr. Florentina F. Aquino; The Adviser of the College Student Body Organization Sir Rolly John Cuenco; the Basic Education Principal Madame Mila Cabuslay; The Assistant Registrar Sir Arnold Adaoag who also acted as the group photographer; the School Liaison Officer Mr. Edwin Granil; the President’s daughter-in-law Joan Coliamco and grandson BeeJay who let color and meaning to the affair by their whole-heart support and display of open concern and love to the residents and of course, the driver, Manong Jerry. The residents, hampered by their handicaps, nonetheless displayed the spirit of Christmas and sang Christmas songs at the height of their gusto. They actively participated in the games alternately conducted by Madame Flor and Sir Rolly and shouted and made fun at their heart’s delight in their own innocent ways. And when feeding time came, Ma’am Joan and Beejay enjoyed assisting the residents feed themselves and get satisfied to the full with the Jollibee packed lunch distributed to them. And what happiness filled their hearts and when they were given gifts and toys by Madame Nora, Madame Ligaya and Madame Mila who acted as the Santa Claus. The St. Joseph Home for Special Children is managed and supervise by Sis. Leoncia V. Mateo, OP. 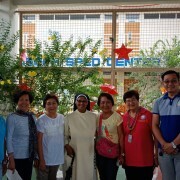 She is assisted by another nun, two special education teachers, and a team of helpers and maintenance crew. -Article submitted by Dr. Florentina F. Aquino.